Axis Engineering has an extensive background in the civil, architechtural, and structural design of cellular communications sites. Our services include complete construction documents, permit acquisitions, and construction management. 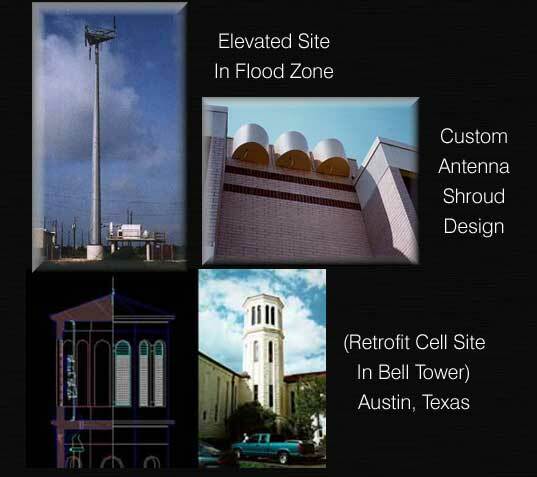 Our past projects include monopole, self support, guy tower sites in all areas; build-outs of cellular equipment rooms and roof top installation on existing office towers, strip centers, and warehouses; cellular sites built in power-line structures; and internal wireless loops to cover the interior space of high rise buildings. We have also done complete engineering and architecture on switches. The staff at Axis Engineering prides itself in being able to find creative and viable solutions to difficult installations as well as integrating "off the shelf" products into our site designs. We provide solutions for cellular installations that satisfy both cellular companies nad the goerning authorities.